Google Analytics provides a whole range of information about your visitors and how they are interacting with your website. 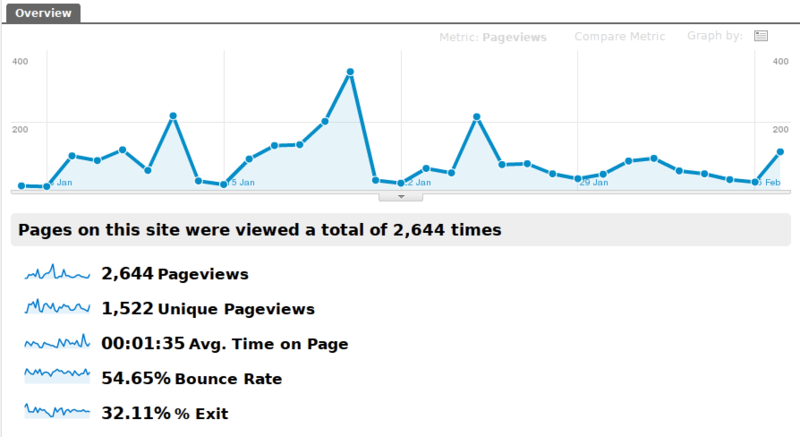 Seeing how many people visit your site is just scratching the surface. Check out our top 3 tips for diving in to Google Analytics. What Sources are Driving Traffic to My Site? But is your website keeping people locked in after they arrive? Is My Website Grabbing Visitor Attention? Visitors Overview provides some useful details that indicate how people are interacting with your site. 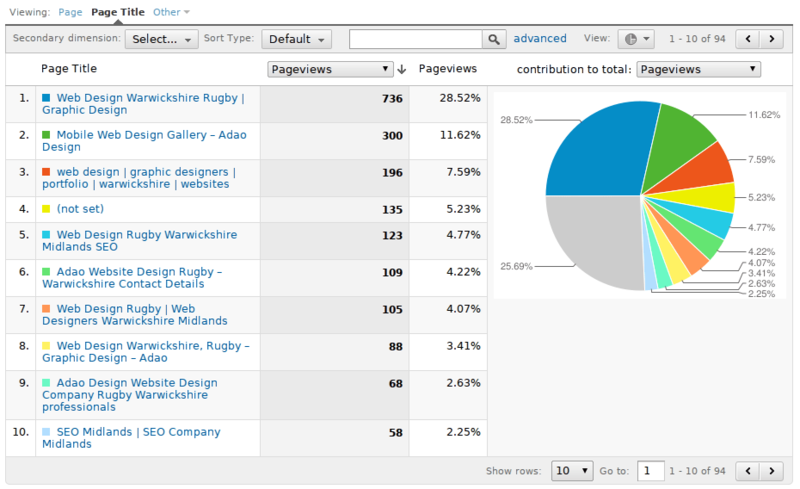 The New vs Returning Visitor pie chart shows you what percentage of visitors are coming back for more. If you run a site that benefits significantly from returning visits e.g. an ad-revenue driven blog or a fashion retail online store you need to look for ways to increase this percentage. Alternative if your site is just a simple introduction to your company and contact details it’s less important. Avg. Time on Site gives you a broad picture of how long visitors are sticking around. Again, retail sites with lots of products or information-based blogs will be aiming for a high number here. What if things look like they need some improvement? Time to dig a little bit deeper and find out what users are doing after they arrive at your site. Where are Visitors Going After Landing On My Site? Does my website have enough clear calls to action (e.g. add to basket, contact us, etc)? Are some parts of my website difficult for people to find? Is some part of my website difficult to use, making visitors exit instead of before they get where you want them to be? Some visitors will land on your site then exit without delving any further. This is called a bounce, and the Content Overview shows you this percentage as Bounce Rate. For most kinds of website the objective will be to reduce this percentage. A high bounce rate might indicate that the marketing driving visitors to your website is irrelevant, or that when visitors land on your site they aren’t seeing the content or calls to action which prompt them to stay on the site. The Site Content => Pages overview shows top pages on your site in order of most viewed. The majority of the time the home page will be top of the list. This view illustrated here has been altered slightly to show a pie chart and page titles instead of the URLs – the default is a table. Google Analytics track a lot of information, which, when interpreted correctly can be an incredibly powerful tool for your business. Our SEO campaigns include regularly walking you through your analytics to make sure you’re getting the best from your marketing budget. Why not contact us about SEO to find out how we can help?